Elves like to play with dolls too. Among the massive number of revealed cards today for The Witchwood, a neutral Legendary marks the eighth. Hearthstone content creator Disguised Toast has now revealed Dollmaster Dorian on his YouTube channel. Dollmaster Dorian is a five mana 2/6 minion with the card text “Whenever you draw a minion, summon a 1/1 copy of it.” This effect is similar to Barnes in the fact that it summons a 1/1 copy of the minion, but unique in that Dollmaster Dorian can summon 1/1 copies of multiple minions. Though the two cards share some similarities they would be used in different circumstances. Dollmaster Dorian would fit more into a control-style deck that has multiple powerful minions. With Dollmaster Dorian in play, you could get copies of many high-power minions that you draw, such as Obsidian Statue in Priest, Baron Geddon in Control Mage, or Deathwing, Dragonlord in dragon-style decks. Copies of these minions still grant you their powerful effects and cost you no mana. Dollmaster Dorian would go well with cards that have a draw mechanic, since it gives you the chance to draw more minions and summon copies of them. Dorian also has a solid stat line with decent health, which can make him hard to remove from the board. 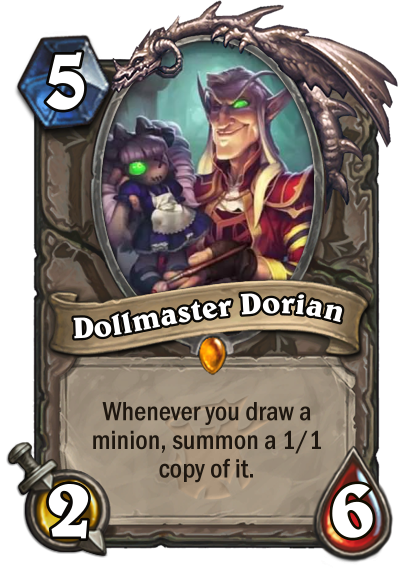 Once the expansion is released, expect to see decks experimenting with Dollmaster Dorian to find the best combo and a way to get strong cards on the board by only drawing them. 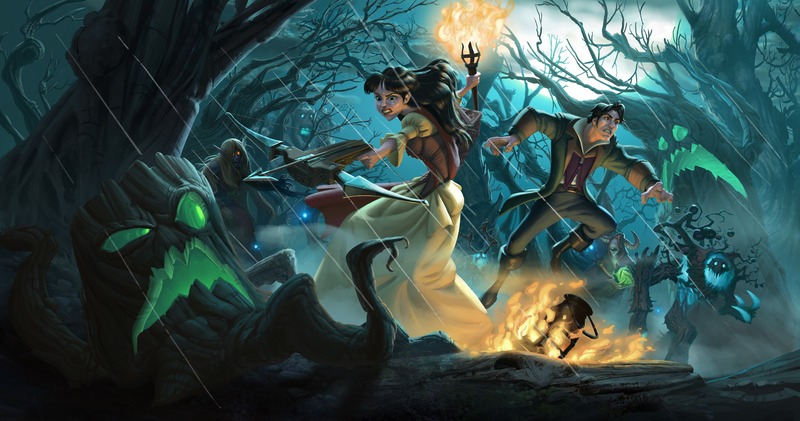 The Witchwood is expected to be released sometime in mid-April.